Adjust balance of system of all spell. This effect can be obtained Player only. 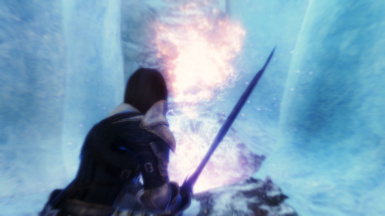 This has been set Keyword and Skill of Vanilla, be compatible with other MOD of magic adding and magic adjustment. 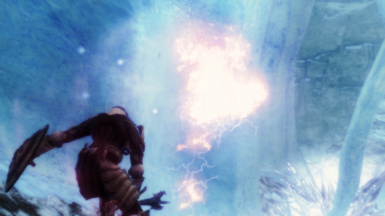 However, you can't get the all effect of this MOD. Be obtained powerful strengthening by getting Perk that specialize in one element. Adjust balance of system of all spell. This effect can be obtained Player only. 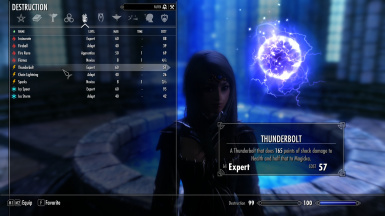 This has been set Keyword and Skill of Vanilla, be compatible with MOD of magic adding and magic adjustment. Extends the duration of Alteration(non-paralyze), and Strengthen Protection Spell. By getting Perk that specializes in bound weapon, will increase weapon damage. By getting Perk that specializes in Reanimate, elevated level of resuscitation, extended duration. By getting Perk that specialize in one attribute, Increase power of magic, reduce cost. Increase target level of Influence, increases duration. Strengthen of Turn Undead and Ward. This effect is increased by combination of equipment. When you blocked spell with Ward, can reflect same spell to enemy. But when shield is equipped, it does not Invocation. When you cast elemental spell, can do two chains of it. To stop the cast, please change the equipment or take defensive action. Increases the probability of magic absorption, magic and elemental resistance of nearby enemies is reduced. In combat, greatly increase ability of Summon Creature. It is effective also to that of allies. In addition, base duration of Summon Spells become 999 days. 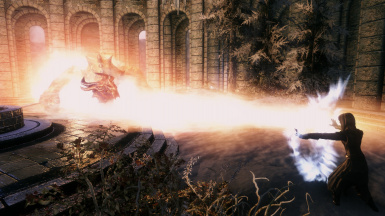 While this effect is activated, you are not possible to equip spell. If you fall below 10% health, activate Aegis automatically with a low probability. Spell the Wizard's Fury cast automatically to targets. 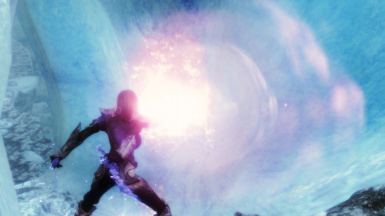 synergies effect that added elemental damage was introduced. 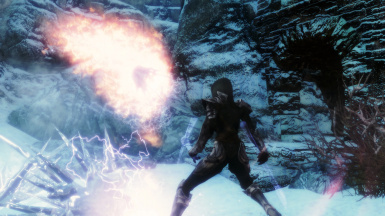 Enhanced Ritual Elemental Spells of Destruction. 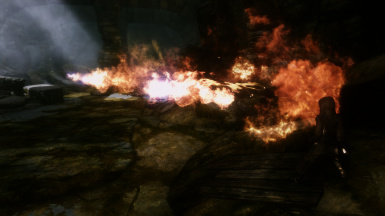 Show Active Effects of this MOD. Adjusted the synergies of Conjuration, Illusion and Restoration. When you meet the conditions triggering the Reflect Spell, it is displayed in the item of Active Effects. When equipped a shield, was adjusted so as not to trigger of Reflect Spell. Have added the Reflect Spell synergies. The synergy effect of Restoration was changed along with it. When you master of each magic skills, Magicka is increased by 20 points. 30% enhance duration of Alteration (not Paralyze). Increases Magicka by 20 points. 10% decrease cost of Alteration. 20% decrease cost of Alteration. 10% enhance duration of Conjuration. 15% enhance duration of Conjuration. 100% enhance duration of Reanimate Spell. 50% enhance duration of Bound Weapon Spell. 25% strengthen damage of Bound Weapon. 30% strengthen damage of Bound Weapon. 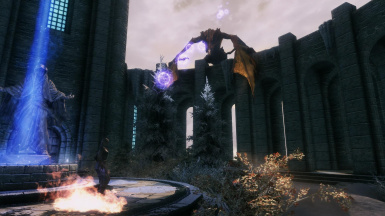 10 points add fire damage, when standing power attack with bound weapon. 10 points add frost damage, when standing power attack with bound weapon. 10 points add shock damage, when standing power attack with bound weapon. 5% strengthen damage of Elemental Spell. 10% strengthen damage of Elemental Spell. 15% strengthen damage of Fire Spell. 20% strengthen damage of Fire Spell. 25% decrease cost of Fire Spell. 15% strengthen damage of Frost Spell. 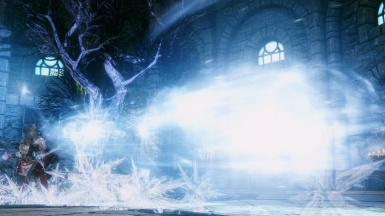 20% strengthen damage of Frost Spell. 25% decrease cost of Frost Spell. 15% strengthen damage of Shock Spell. 20% strengthen damage of Shock Spell. 25% decrease cost of Shock Spell. 20% strengthen damage of Ritual Elemental Spell. 30% strengthen damage of Ritual Elemental Spell. 10% strengthen damage of Fire Spell. 20% decrease cost of Fire Spell. 10% strengthen damage of Frost Spell. 20% decrease cost of Frost Spell. 10% strengthen damage of Shock Spell. 20% decrease cost of Shock Spell. 10% enhance duration manipulation of enemies' minds. 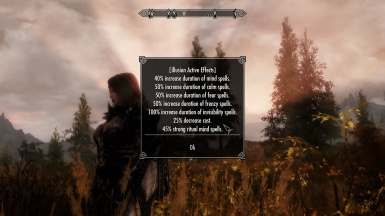 50% enhance duration of Calm Spell. 50% enhance duration of Fear Spell. 50% enhance duration of Frenzy Spell. 100% enhance duration of Invisibility Spell. 25% decrease cost of Illusion. 45% strengthen manipulation of enemies' minds. 25% strengthen manipulation of enemies' minds. 20% strengthen manipulation of enemies' minds. 5% strengthen Turn Undead Spell. 10% decrease cost of Ward Spell. 10% strengthen Turn Undead Spell. 10% strengthen Turn Undead + Ritual Spell. 15% strengthen Turn Undead + Ritual Spell. When you cast fire spell, can do two chains of it. When you cast frost spell, can do two chains of it. When you cast shock spell, can do two chains of it. Destruction spell cast automatically to targets.